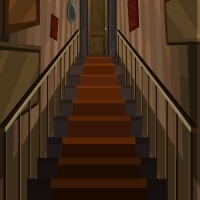 GenieFunGames - GFG Genie 3 Stairs Escape is another point and click escape game developed by Genie Fun Games. Here you have been stocked in stairs. So all you have to do is find the final key for the door and escape that's it simple but its not too easy. You can find useful stuffs and interesting clues symbols to solve and finally escape from the stairs. Good luck and have fun! The right side of the game is obscured, so I can't even press play. This is happening all the time with this gamemaker now. With or without Ad Block.